Thief is coming to the PS4 and PS3 next week, and to celebrate a new trailer for the game has been release. The launch trailer unveils fresh snippets of Garrett’s story as well as some new gameplay footage – check it out below. 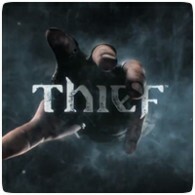 Thief will emerge in stores on Friday 28th February in Europe and PAL territories for PlayStation3 and PlayStation 4.